At Dollar Dental Care, we understand the importance of beautiful smiles. We are dedicated to providing you with the highest standards of dental health and comfort in a bright and friendly environment. As a dental team, we strive to stay at the forefront of dental technology and learning to provide a comprehensive range of dental treatment which ensures that you can keep smiling with confidence. Dr Watson opened the dental practice in 1985 with a single dentist’s surgery. 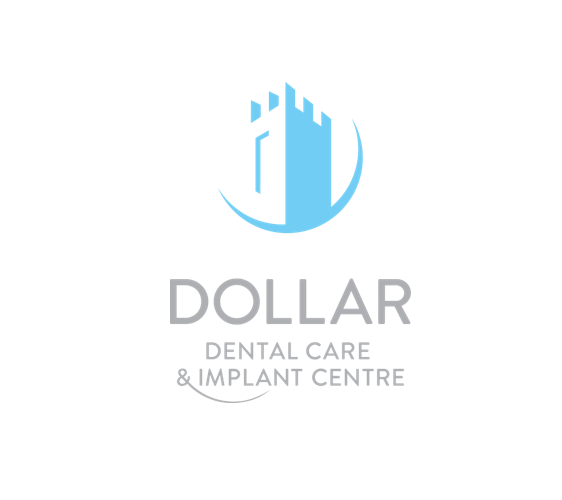 With his dedication, hard work and investment, Dollar Dental Care has grown and developed into a vibrant, thriving practice. Our contemporary premises have been designed for today’s dentistry, providing a hygienic, comfortable environment where you can be confident of receiving the highest standards of treatment. Our highly experienced clinical team comprises two dentists, three hygienists and four registered nurses, who can collectively claim more than 150 years of dental experience. Dr Watson, who is a member of the Association of Dental Implantology, has had a special interest in implants for the last 15 years and has placed and restored many hundreds of implant cases. Our experience ranges from simple single tooth replacement to full arch replacement. We have a dedicated implant surgery day each week when we place implants in a dedicated aseptic surgery prepared for each individual case. Dr Watson currently receives referrals from other local practices. From whitening and adult braces that fit in with your lifestyle to advanced restorative options and comprehensive family dental care, we offer a wide range of services under one roof. Our beautiful contemporary premises feel light and modern, and we’ve worked hard to create a relaxing environment integrated with the latest technologies. We believe our building plays a key role in helping patients feel confident and positive about dental visits. Bobby graduated from Dundee Dental hospital in 1980. Over the years he has undergone considerable postgraduate training all over the world always keeping abreast of the state-of-the-art developments in dentistry. Over the last 25 years he has developed a special interest in dental implants and occlusal (bite) aspects of dentistry. Currently we accept referrals from several practices to carry out this advanced aspect of dentistry. Claire graduated from Dundee Dental Hospital in 1989, having also achieved a Bmsc in Anatomy, and has extensive experience in both private and NHS dentistry. Her dedication to her profession has lead her to complete numerous courses in restorative dentistry, endodontics (root canal treatment) and every other aspect of dental care. She has a particular interest in cosmetic dentistry and advanced restorative dentistry. Before joining Dollar Dental Care in 2006, Claire worked for 4 years in Boots Dental Care / Optical Express where Claire Harrold was her dental nurse. Nervous patients and children respond well to Claire’s calm, sympathetic approach and to the relaxed and reassuring atmosphere she creates. Leanne qualified as a dental nurse in May 2000 before going on to do her dental hygiene qualification in 2003 at the Edinburgh Dental Institute. She takes an active interest in keeping abreast of all the latest hygiene developments and attends courses throughout the year to update her skills. 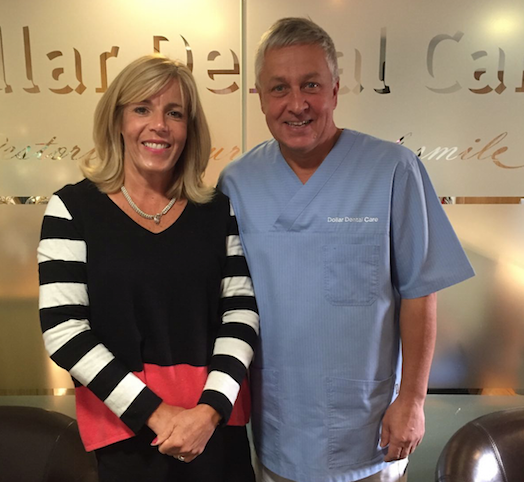 Debbie joined the Practice in September 2014, bringing more than 18 years of dental hygiene experience to Dollar Dental Care since qualifying from Glasgow Dental Hospital in 1996. Since then she has worked in private, NHS, hospital and corporate environments. A great asset to the practice, she is experienced in all aspects of hygiene care and has been instrumental in helping instigate new protocols and educational programmes in previous practices. Amber qualified as a dental hygiene therapist from the University of the Highlands and Islands in 2012 with distinction. After a short spell living in Western Australia where she worked as a Hygienist she returned to the UK and has been working in both private and NHS practices. Her remit as a Hygiene Therapist allows her to bring a wide spectrum of treatments to the Practice and she is always very keen to continue her professional development. Dollar Dental Care does not have it’s own parking lot, however there spaces for parking outside the practice on Bridge Street and several side streets with parking.